Each Fourth of July, I love to make red white and blue recipes perfect for celebrating our nation’s holiday. Do you love doing the same? If so you’ll love this fun patriotic drink, made out of cranapple juice, pina colada and Gatorade. Layered drinks are always fun, but with red and blue in honor of the holiday, this patriotic drink is the perfect choice. 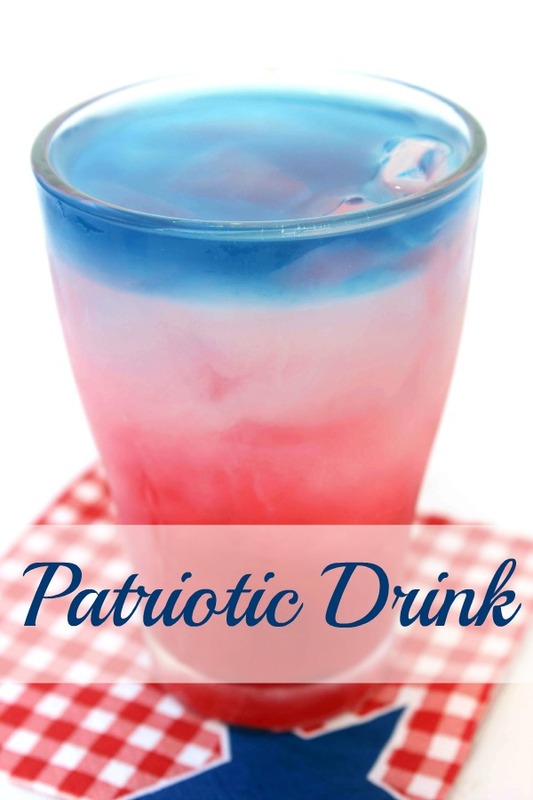 This patriotic drink is surprisingly simple to make, too, but it does take some time. 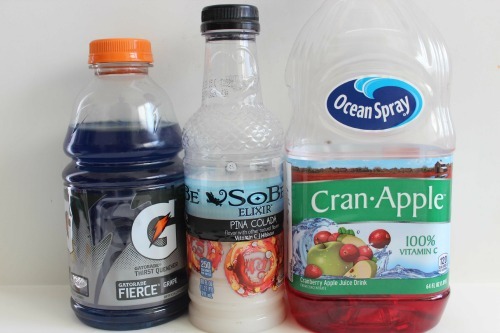 You’ll need to save time to freeze the drink in between every step to make sure that the colors don’t run together. 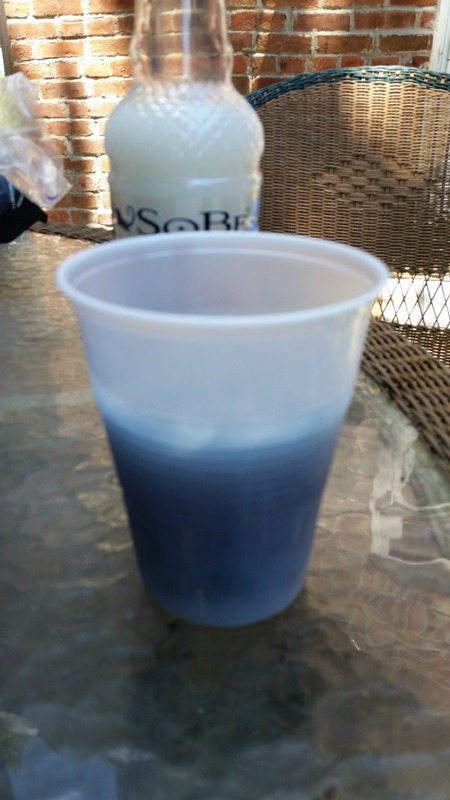 Skip this step and the result will still be delicious, but you’ll wind up with purple drinks instead of the layered drinks you were hoping for! Trust me! Another thing you will want to keep in mind is that this drink needs to be kept cold until you are ready to serve. While it is fine to drink it as it is melting, you won’t want it to start to melt before you hand it to your guests. This Fourth of July, why not make red white and blue recipes that are delicious, easy and very impressive? 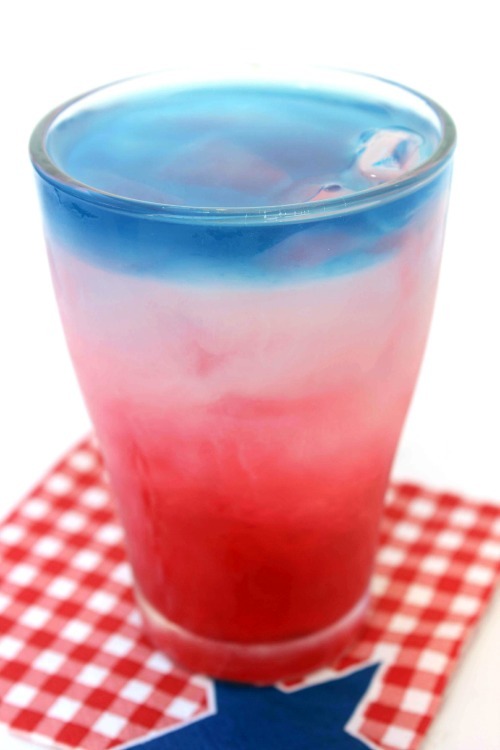 These patriotic layered drinks are bound to be crowd pleasers for sure. Fill glass ¼ of way with ice. Fill with cranapple juice just to ⅓ way up. Gently fill with pina colada by pouring over the back of a spoon to ⅔ way up.